Here’s part two of our apple trend roundup and it’s on to the art now dahlinks; there’s a plethora to choose from! 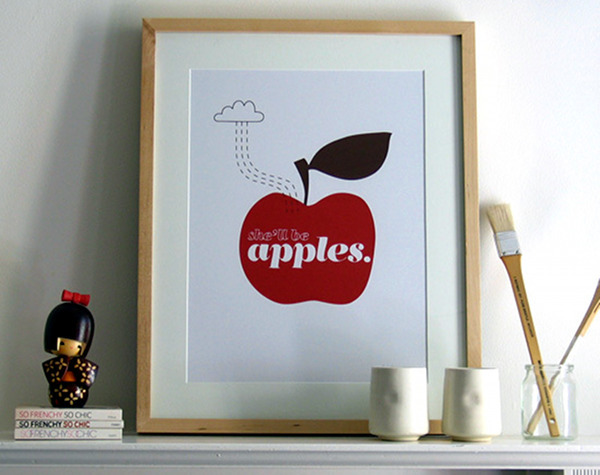 Above is the super-cute and reassuring She’ll be Apples print – $55 by Naomi Murrell. 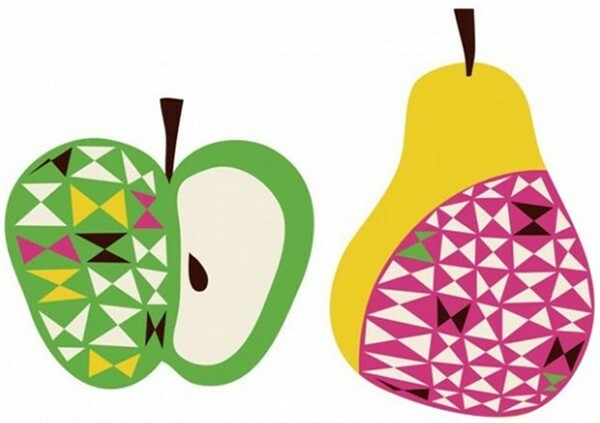 Below is Babyology fave Helen Dardik‘s Apple and Pear poster. No we don’t mind if there’s an imposter pear in there because pears are demanding their very own trend feature these days! 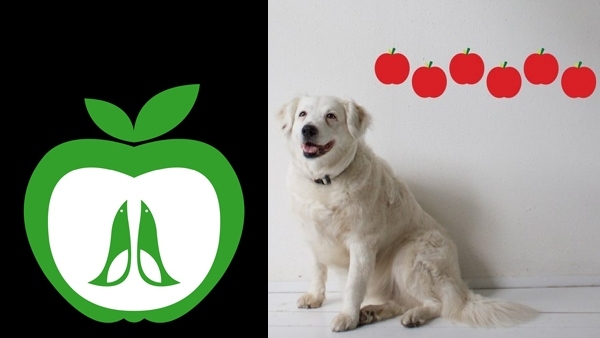 It’s apples on walls as far as the eye can see with the Heather Amuny-Dey Apple Bird print, US$40 at Velocity. The apple wall decals are from Etsy’s Plaksels. They’re just US$11.50 for a set of six! No, the gorgeous dog will not be mailed to you from this Holland-based store. Here’s something special for baby from Jacob & Bonomi. 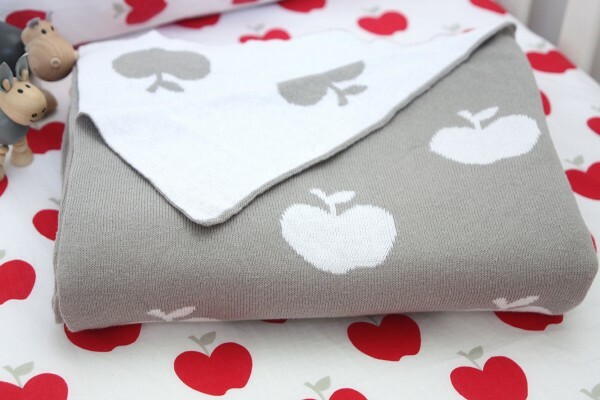 The L’il Apple cot blanket is $94 but you’ll have to nag them to start making the stunning apple sheets again. My son has the beautiful navy apple tee (only $22) up there and I can vouch for the lush quality and lovely fit. 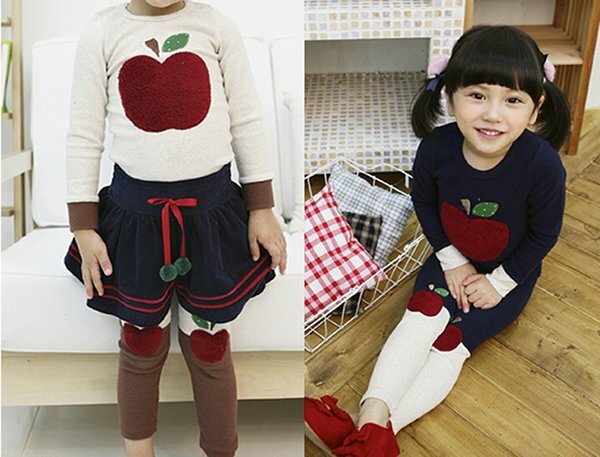 You can buy the tee in cream or navy, as well as leggings from Kawaii Kids which stocks other cute apple products too. There’s more to come in part three of our apples roundup!